On warm and sunny Friday 15th July, we celebrated the end of our first financial quarter for 2016/17 with a Festival! 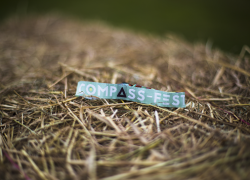 “Compass-Fest” started life as a company BBQ at one of the Director’s houses in 2014 and grew into a tipi marquee, a delicious three meat roast, local musicians including our very own Den Muharrem of General Healthcare, two of Portsmouth’s finest DJs and of course, a fully stocked bar, and lawn games. A wonderful day was had by all. Looking forward to next End Of Quarter!